You can participate in this Experiment right now. It's simple! Just answer the question below, and click the button! We're grateful to you for taking the time to join today's Experiment. We'll be posting results of the Experiment throughout the day, so be sure to check back later! Thanksgiving is traditionally a chance for loved ones to gather to celebrate with food, drink and togetherness. 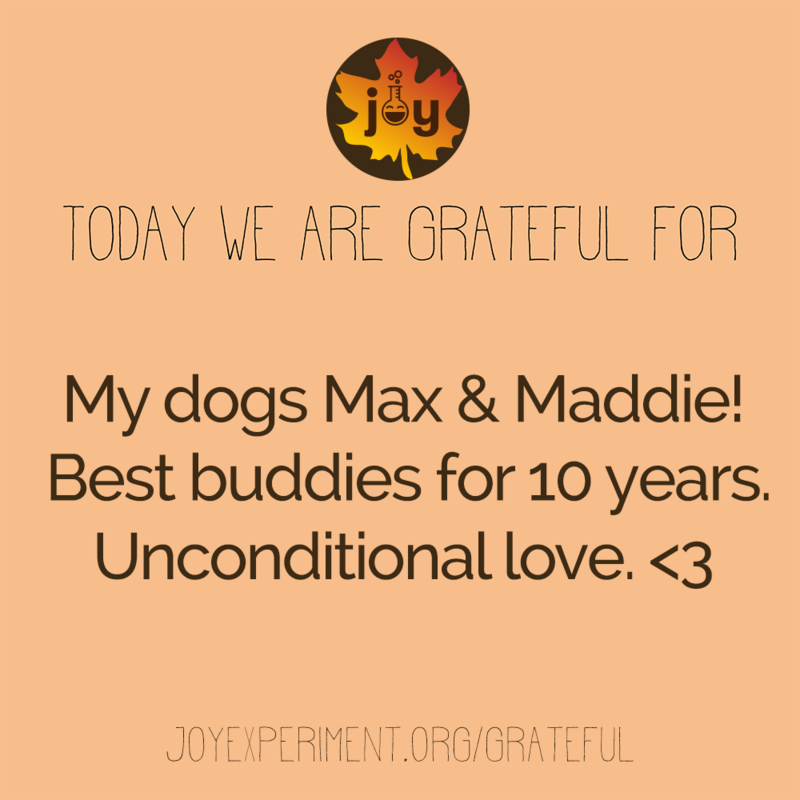 This year, we are taking this joyful get-together as an opportunity to conduct a Joy Experiment in Gratitude. The key ingredient? You and your loved ones! 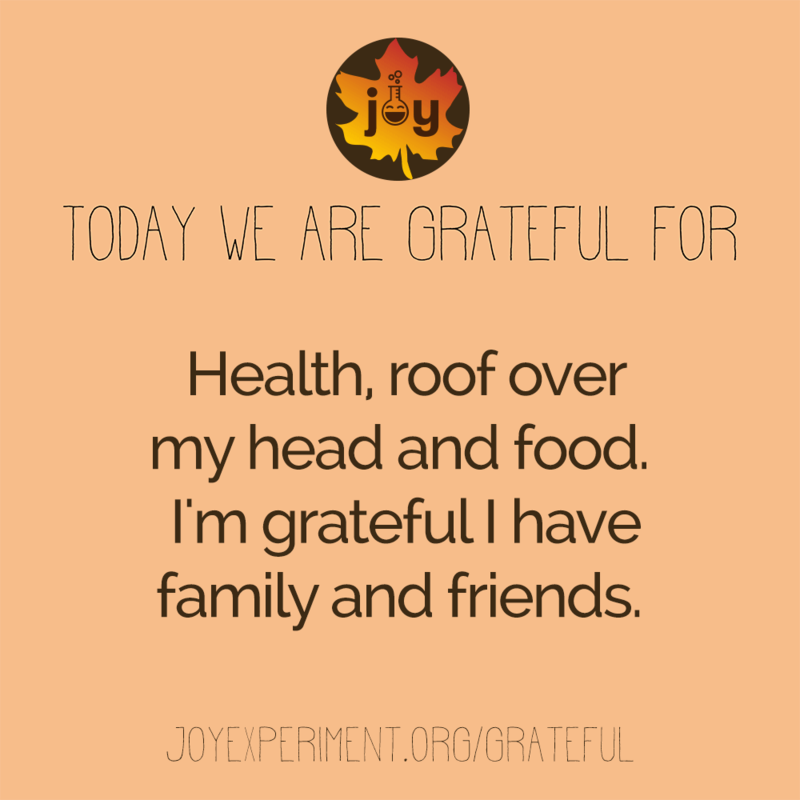 Take a moment with your friends and family and pose the question: "What are we grateful for today?" Share your answers here, and we'll add them to this page throughout the day. Here's what others are thankful for!